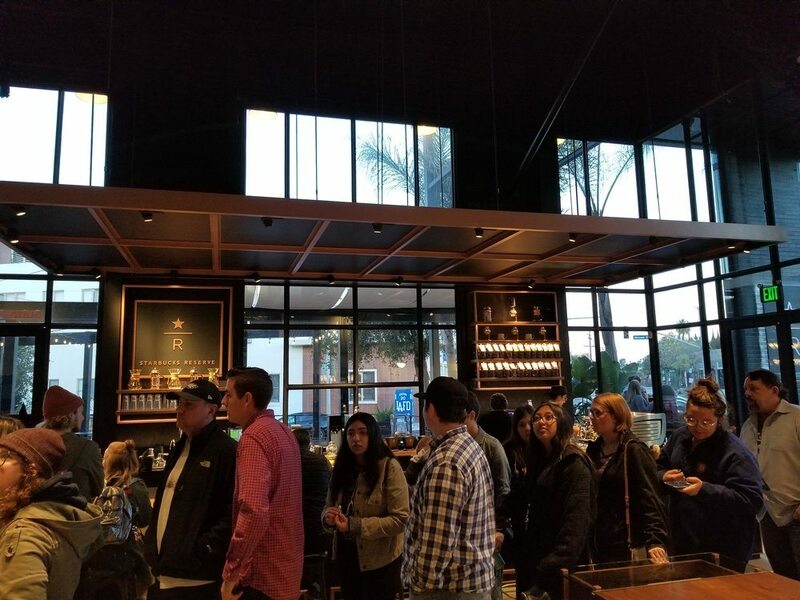 On Friday, March 16, 2018, Starbucks opened a gorgeous Reserve Bar in Los Angeles, on the corner of Sunset and Mohawk. 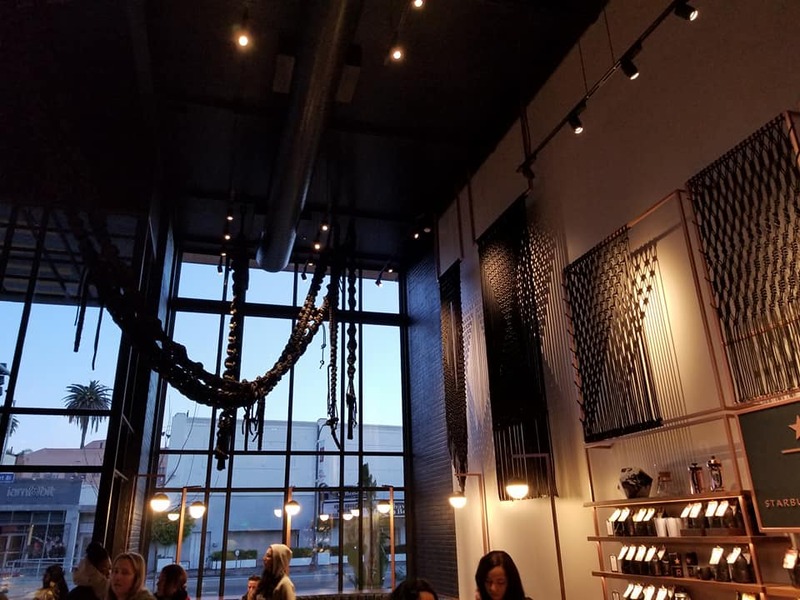 This new store is a Reserve Bar which means that it offers Reserve coffee, elevated brew methods such as a slow pour over and siphon brewer, and may offer some standard Starbucks drinks and foods. 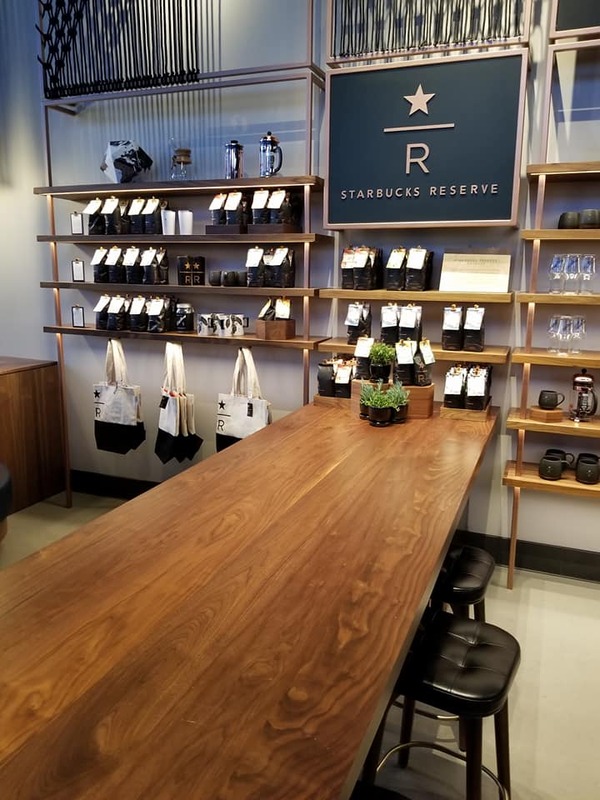 This is different than a Reserve Store. 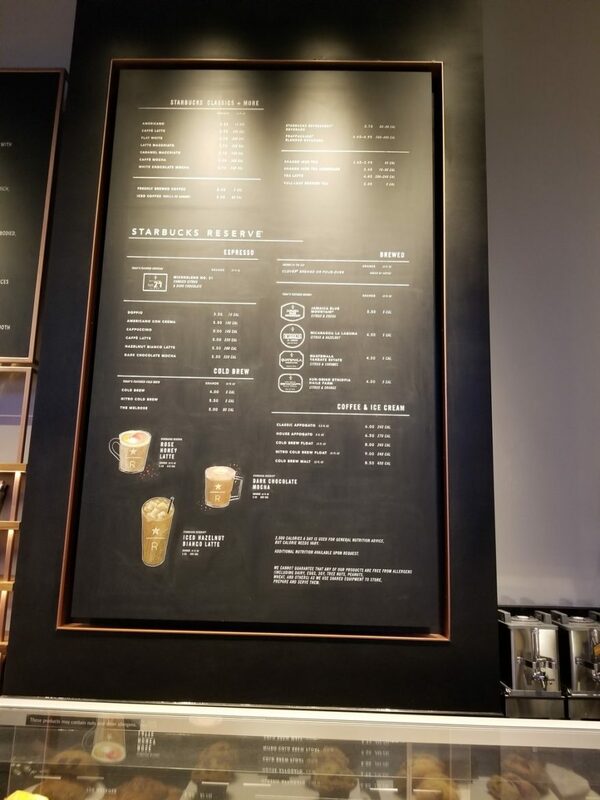 A Reserve Bar has core coffee, core food, and many core beverages. 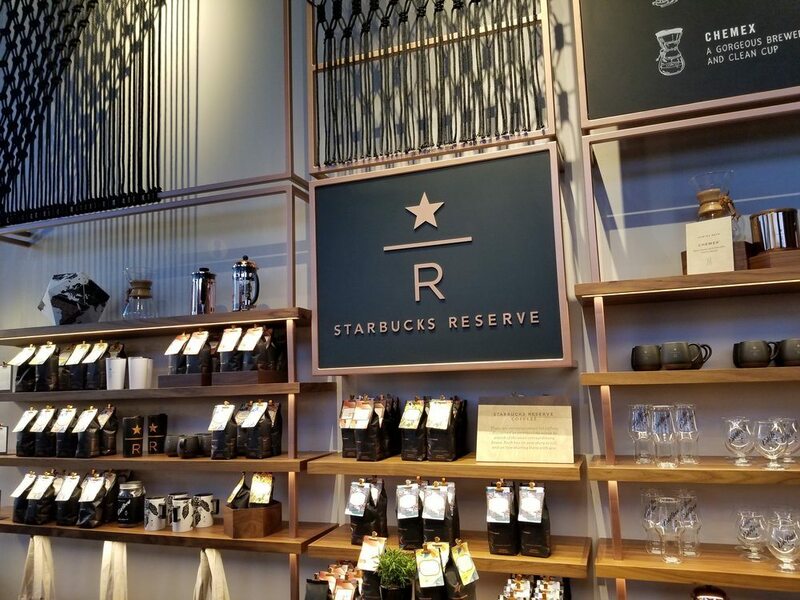 A Reserve Bar is a hybrid of a core store and a Reserve Store. 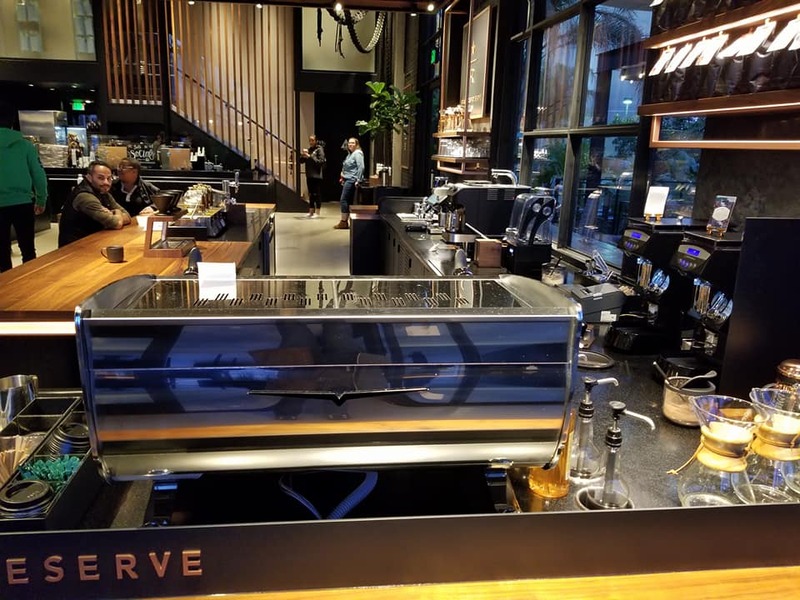 A Reserve Bar will offer a semi-automatic espresso machine, elevated brew methods and some unique beverages. 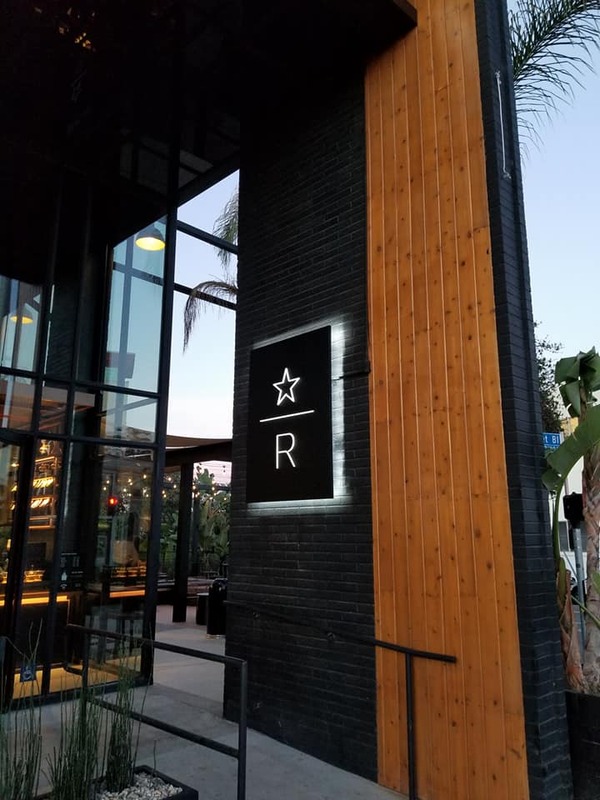 A Reserve Store does not offer core coffee or core beverages. 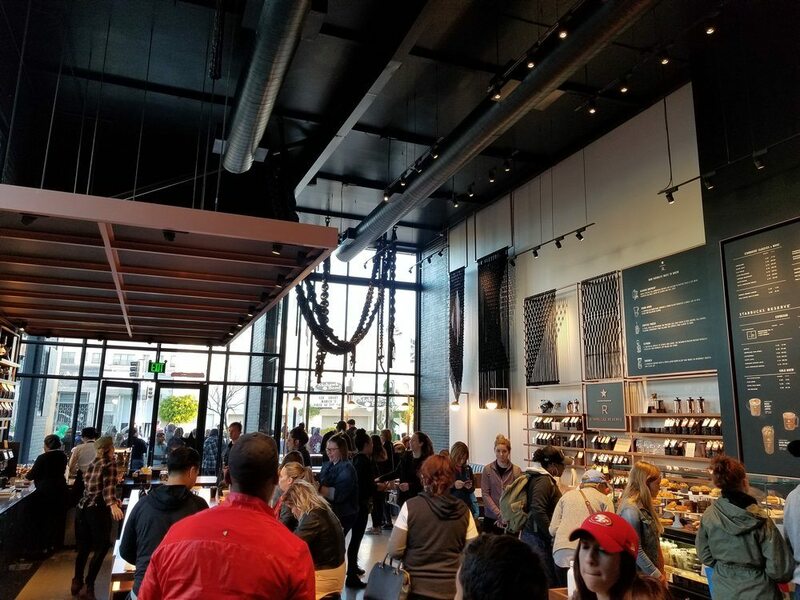 You’ll find two Reserve stores in Seattle. 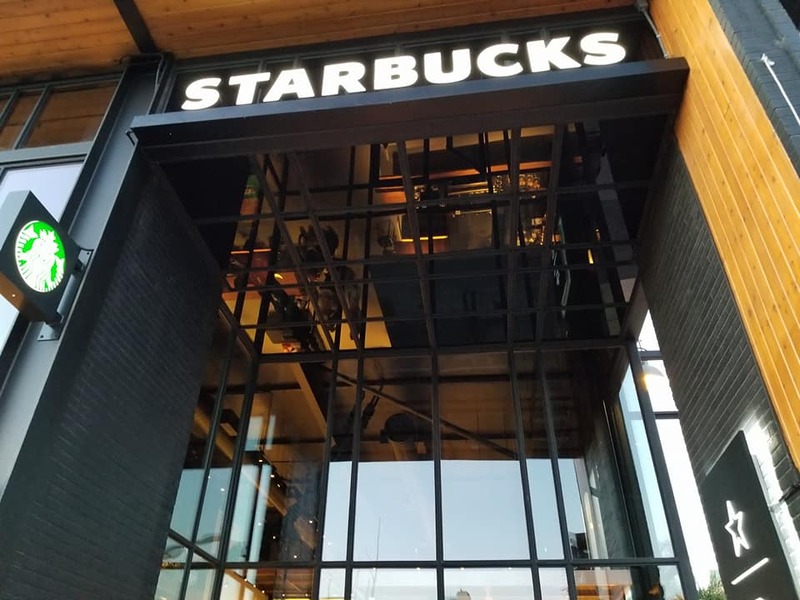 One is on the lobby level of the Starbucks headquarters and just opened on February 27th this year. The other is at First and University in downtown Seattle. 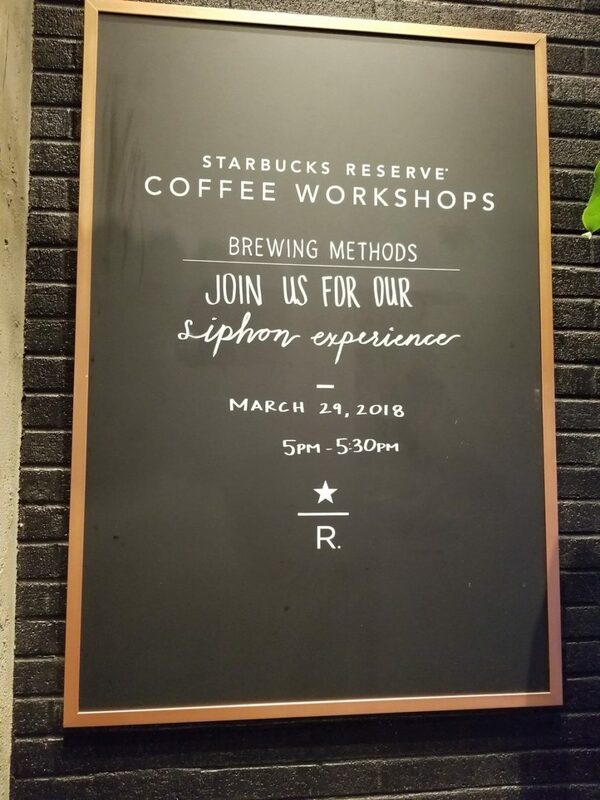 A Core Starbucks store can sometimes offer Reserve coffee but will not offer siphon brewers or other unique brew methods. 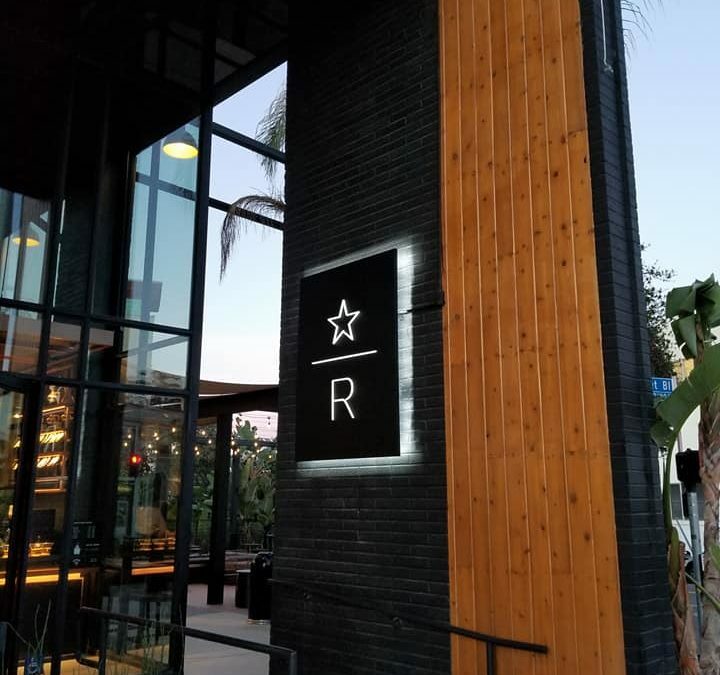 There are no Reserve “Roastery-inspired” drinks at a Core Starbucks. 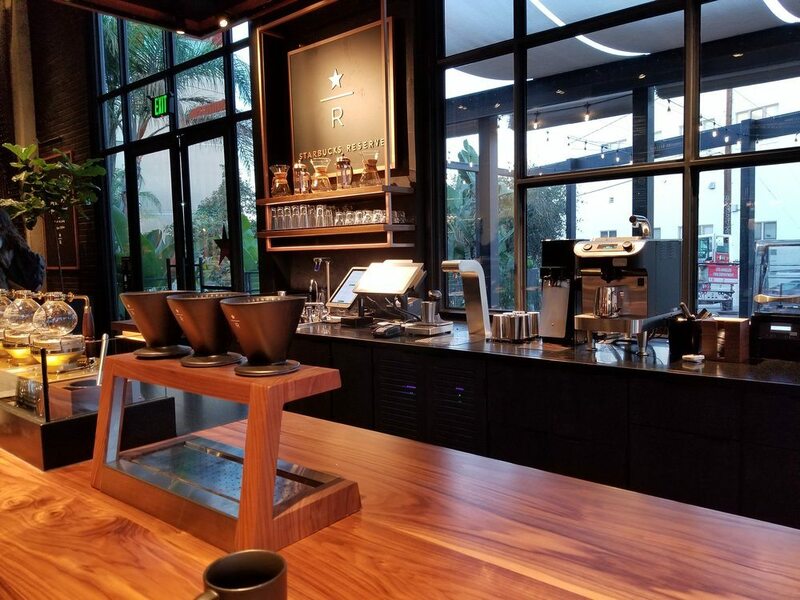 I think it’s stunning how Starbucks continues to elevate their Reserve line of stores in both design and unique brew methods and coffees. 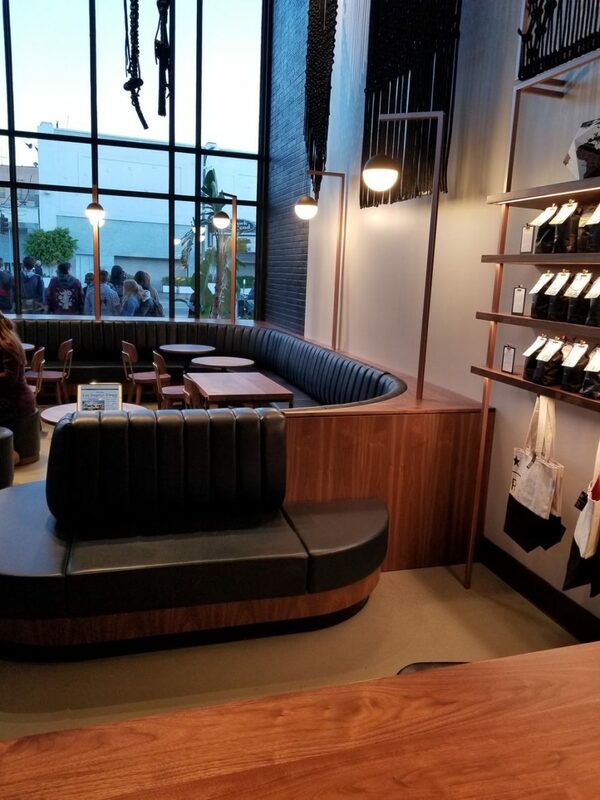 I had the chance to drop by the new LA Reserve store on Sunday, March 18, 2018. It was packed. I arrived just before 7 am, and little did I know that I had coincided my visit with the LA marathon. The store was right on the path of the marathon. 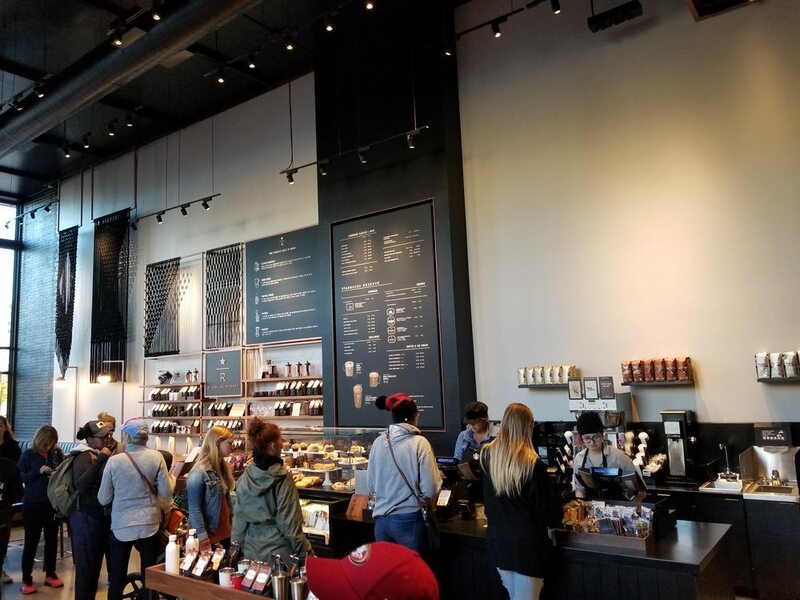 Moments after I arrived, a swarm of customers came in all at once. In a matter of minutes, there was a line to the door. I had a few minutes where I’d beat the crowd, and then it was packed! 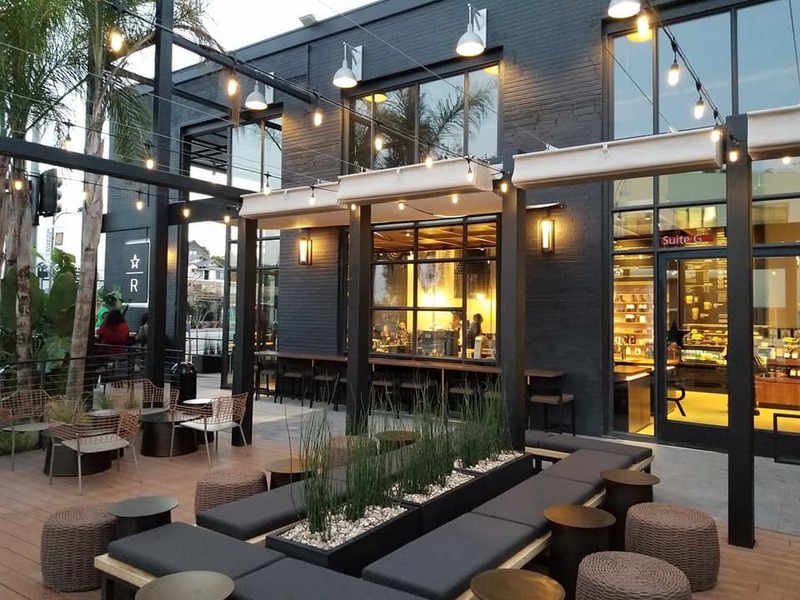 There’s another LA Reserve Bar at Hillhurst and Avocado. 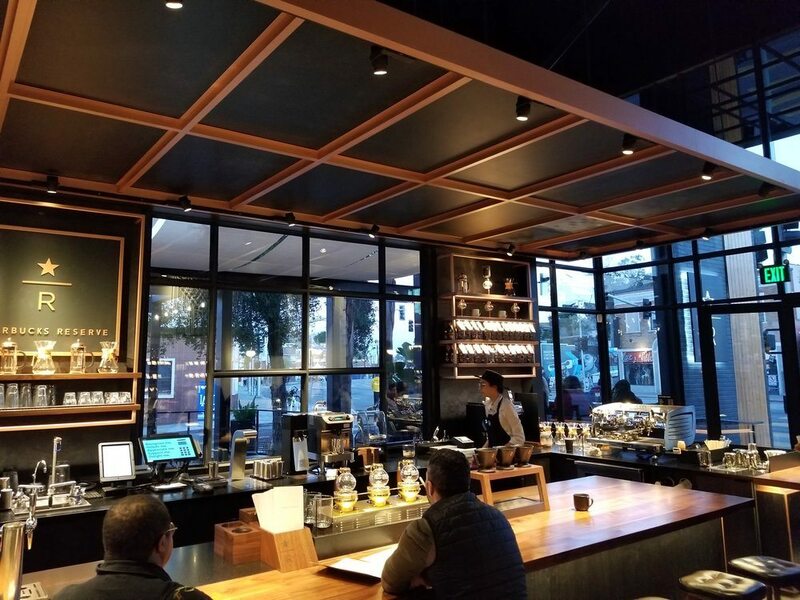 Take a look at how beautiful this new Starbucks is! I hope you get to visit. I had a great time! I met the ASM, Renee, though we didn’t have much time to talk. You can see that they’re slammed!